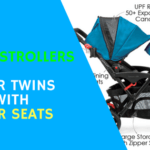 Joovy Qool Stroller is a stroller with reversible & deep recline seat, huge canopy, strong wheels, large basket, compact fold & many more features to discuss. It can accommodate a baby from 3 months up to 55 lbs (toddlers), to make it best for infants you can use car seat adapter & make it useful for travelling also. This daily use baby stroller has many exiting feature, you will get to know further, so let’s start the happy ride with joovy qool review. The first thing comes to your mind when you talk about baby stroller “wheels” because this is the thing which gives your baby fun ride right? So it rolls on four hard rubber wheels with 9.5″ wheels in the back and 7″ front wheels. The front wheels are swivel, but can be locked straight if the terrain gets tough. But it is not made for jogging or can’t be good for extreme rough surface like we get in outer area of city but yes it can easily absorb bumps because of all wheels suspension so in that way it can handle terrain like grass, mulch or grave with no problems. The canopy is large with one extra panel which you can zip or unzip to adjust the coverage. It gives full protection to your baby from sun. 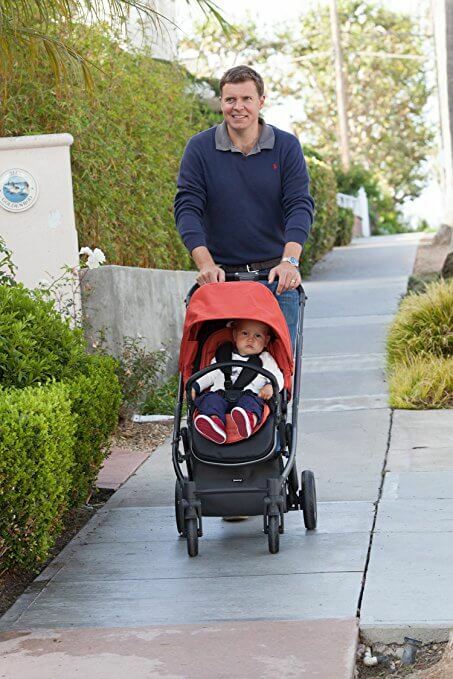 There is one large peekaboo window without a magnetic closure which I feel it should be there, one more thing you may not like in “Joovy Qool Stroller Review” there is no mesh window for air circulation in summer. 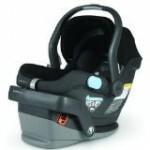 The seat is 13″ wide with 20″ seat back and a measurement of 22″ from the bottom of the seat to the top of the canopy. 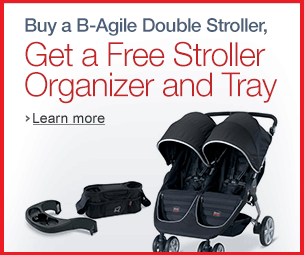 It can accommodate a child from three months and up to 55 lbs. It has a one-hand lever recline with multiple recline positions. I know you are expecting one flat recline position but unfortunately there is no flat position for infants as if they thing a 3 month older child doesn’t need this position but anyway it should be there. If you want to use if from birth, you will need to get a car seat adapter. The seat can be easily reversed so your child can face you or the world. All you need to do is push two buttons on both sides of the seat, swing it around, and pop it back in to the frame till you hear a click. It has an adjustable telescoping handle bar that goes all the way from 36″ to 41″ from the ground. So just stay happy with your height it will adjust with the flow. The handle bar covered with high quality leather and stitched. 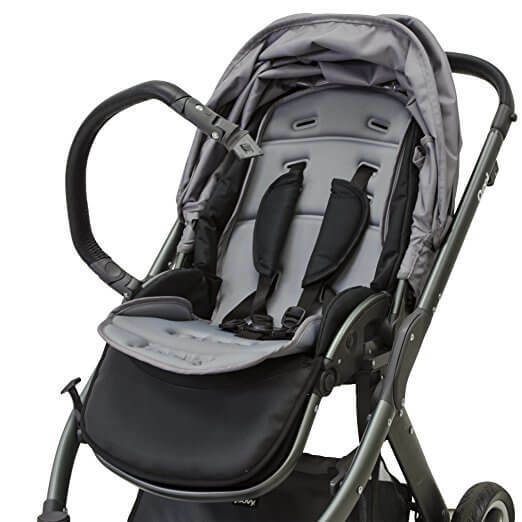 It has 5 point harness system to hold your child tight & safe so if he wants to jump out of the stroller so he just can’t do that. 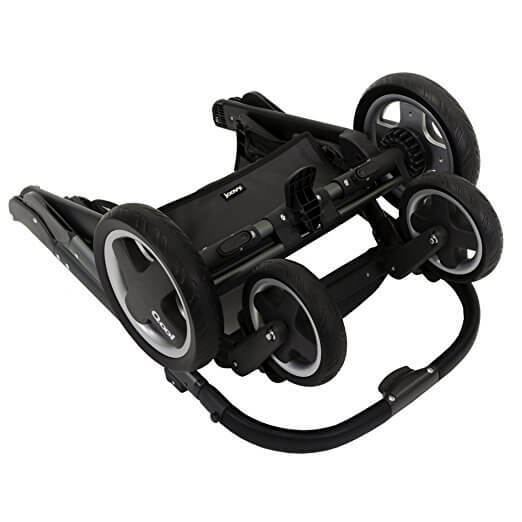 It has a removable swing-away bumper bar that is covered with leather & it is included. There is one foot rest which is a part of the frame & the adjustable foot rest allow your child to adjust his legs according to his comfort, after the deep recline it will create a bed like environment. The foot brake is located in the back between rear wheels which is very friendly & easy to use. The fold is very easy & compact so you can keep it in a corner of your house; you can fold it with the seat attached facing forward or backward. It will be more compact when you will remove the seat. To fold it with the seat attached, first bring the bumper bar down and push the back of the seat forward. Next, push two buttons on the side of the frame and bring the handle bar forward. It has automatic lock but doesn’t have a standing fold. 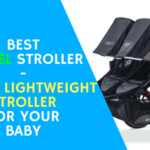 The basket is very large enough to carry your stuffs as well as baby diaper & other things & it Is very easy to access but one thing you may not like in this “Joovy Qool Stroller Review” there is no extra small pockets to store tiny things of your unlike other stroller or there is no cup holder to carry your & baby’s drink. 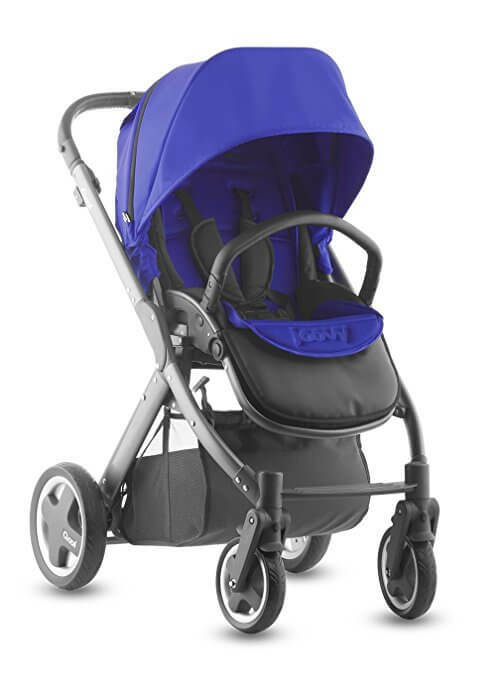 This stroller comes in 10 beautiful colors: apple, avocado, black, blueberry, charcoal, hot pink, jade, spice, vanilla, and purple. You can also pick between two frame finishes: graphite gray and silver. The frame is made of aluminum & the seat is very soft with great padding which is easily washable & made out of good harmless fabric. 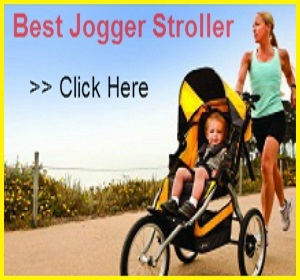 Don’t you think we can give a positive conclusion to this “Joovy Qool Stroller Review”? 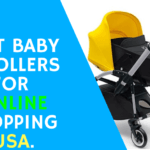 As it has everything you expect for your baby stroller. 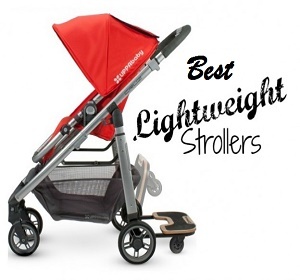 The luxuries features & safety measures make this stroller a perfect one to make your baby ride happy & smooth. With lots of pros & very less cons you can pay money for this because it will be worth it. Joovy provides 1-year warranty from the original date of purchase and you have to be the original owner.